ABB’s Azipod propulsion system will power a Chinese polar science research icebreaker, the first vessel of its type to be built in China. The Polar Research Institute of China ship will be fitted with two Azipod VI units with combined power of 15 MWs. Azipod features a built-in high-efficiency AC motor and fixed-pitch propeller mounted directly on the motor shaft. While mechanical thrusters have complex transmission with gears and shafts, the Azipod has only electrical cables between the power source and the electric motor. The icebreaker will be able to operate stern or bow first thanks the Azipod thruster’s ability to turn 360 degrees. This multifunctional icebreaker will be used for science research and has a displacement of 14.3 thousand tons. It can break ice layers with horizontal thickness of up to 1.5 m forwards and backwards, with a continuous icebreaking speed of 2-3 knots. 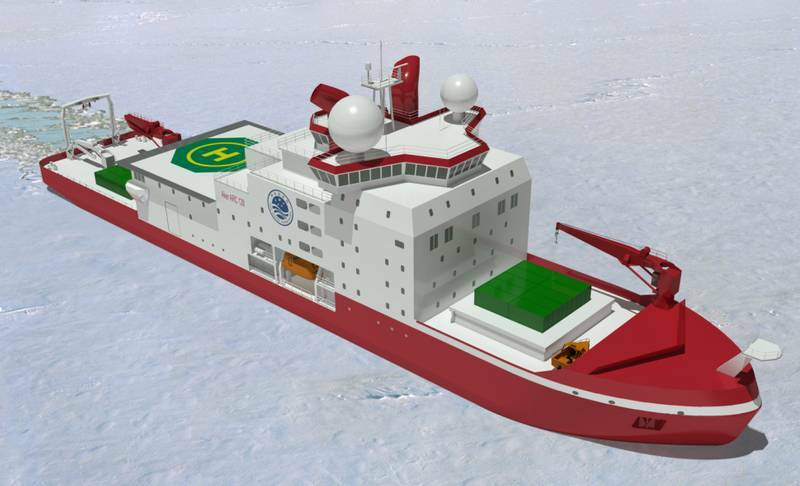 The new vessel will complement the Xue Long icebreaker, promoting the development of polar science research in China. For two of the vessel’s four engines, ABB Turbocharging will also supply A100-M turbochargers, offering high turbocharging efficiency and enabling excellent engine load response which is critical for the adverse ambient environment of the icebreaker.